What is a Universal Home™ and how can it benefit me to live in one? A Universal Home™ is a home specifically designed to maximize energy efficiencies, resource conservation and occupant safety & well-being universally within the building envelope by utilizing material and system integration. Series 012 LMI-1 home in Abilene, Texas and, most recently, the Series 013 Jarvis House in Jourdanton, Texas. 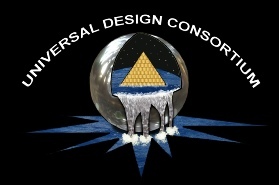 Today, the Universal Home™ has evolved into an integrated collection of 15 Sustainable, Accessibility, Contingency Protection and energy performance strategies developed by our principle Steven Von Mueller. UDC’s first strategy and the most important strategy is to develop the design to respond to the exact climatic conditions the building will be exposed to over the course of a solar year. UDC’s professional design staff of architects, engineers and building scientist will design the building after consideration of site conditions such as calculating the declination of the sun and adjusting for seasonal changes in wind and thermal absorption as experienced per exact longitude and latitude of the building and polar orientation. (Above Left Top) A simple illustration showing the changes in the declination of the sun per solar year. With these natural change comes increases and decreases in thermal collection (summer & winter). 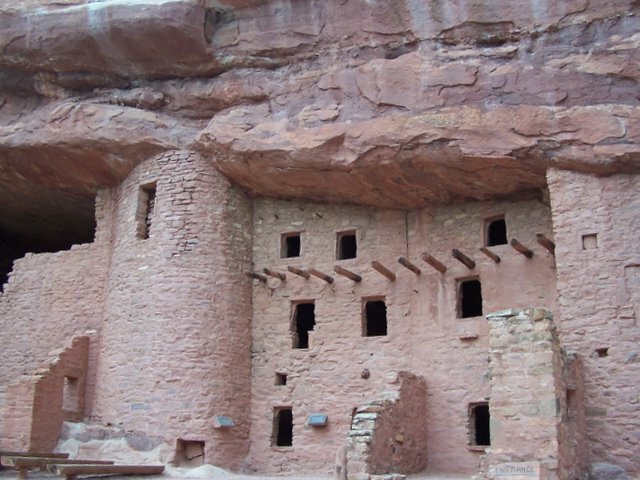 (Above Right) A good example of passive solar configuration, Pueblo Indian ruins located in Arizona constructed in 1250. 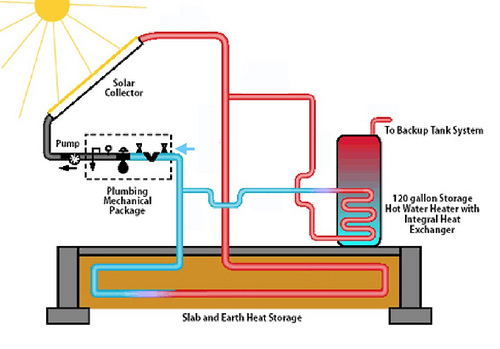 (Above Left Bottom) A graphical illustration showing the many uses of heat from the sun in a solar configured house. 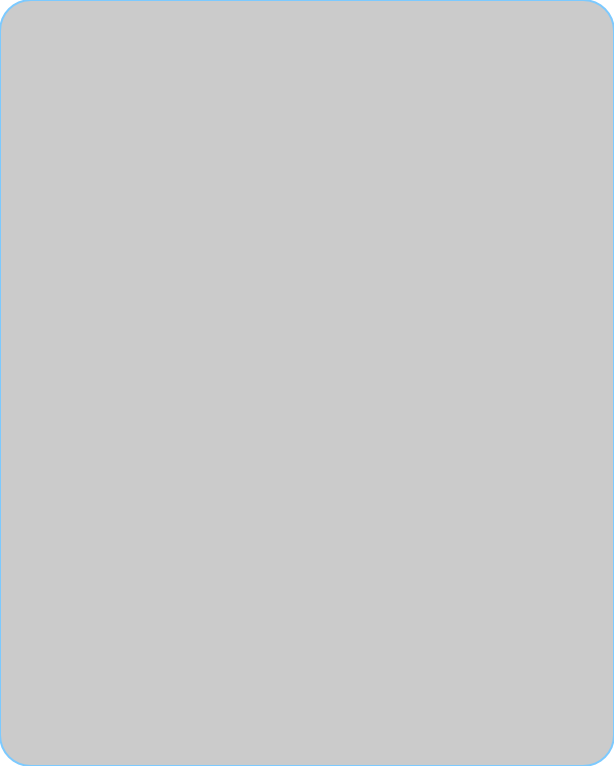 An artist rendering showing passive heating. With a home lasting between 400 to 1,000 years, it is necessary to think about more than one occupancy, in addition to, the needs of the occupancy over the duration of a normal human life span. After all, the only constant in the universe is change. People will undergo physical changes, occupants will change and several generations may inhabit the space over the life span of the building. Some may have mobility issues. To truly be “universal” the building must address these areas. 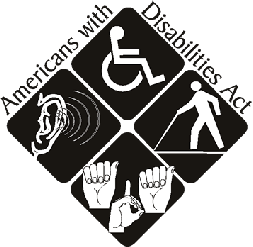 The term “Universal Design” was first used by architect Ron Mace who was a pioneer in barrier free use of space. Universal Design is a condition where the building regardless of architectural style or aesthetic expression is configured to be used by the greatest extent possible by everyone, regardless of their age, ability, or status in life. Handicap and full accessibility home have already demonstrated a great potential in increasing the resale value of the home since there is a shortage of handicap accessible homes on the market and with the increased energy performance, makes it ideal for senior housing applications. The fact is that on average, accessible homes appraise higher and sell faster. (Above Left Top) Ron Mace (1941-1998) an early pioneering architect and professor, that coined the term “Universal Design” and promoter of Visibility. His work directly led to the development of design standards that would increase accessible in commercial and residential structures. 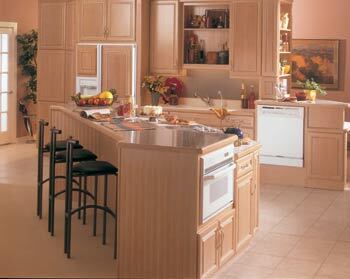 (Above Right) A Kitchen layout in a Universal Home™. The integrated grey water collection and reuse system is a hybrid system that collects both 100 % of the rain water runoff from the roof surface and/or the domestic grey water from the bathroom vanities, bathtubs, showers and washer discharge. This water is stored in subsurface collection tanks and is used for irrigation purposes. The design is based on an integrated configuration used widely in Stuttgart, Germany. Overall this system can reduces waste water production of a home or commercial building by as much as 90%. When considering that 2.5% of the total water on the planet is fresh water and that the average use per person can be between 30 to 50 gallons per day and after considering the world’s population it is logical to adopt a more water conscious existence. The integrated Grey water system will allow for this to be normal practice in the future, especially as water prices increase within the next few years. If used as standard architectural feature for new construction within a city, town or municipality, each building would reduce the need for extensive and expensive water treatment facilities as they will each have a reduction of waste water production. The Universal Home™ is specifically designed to reach maximum water conservation with this system. (Above Right) Two 2,500 Gallon subsurface storage tanks collect 100% of rain water runoff and all the grey water produced by the homes domestic water usage. This water is used on a daily basis to irrigate the landscaping. 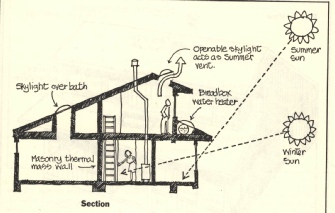 In order to control and maintain the internal temperature and environmental standards of the building design it is important to first fully understand the exact environmental conditions of the location of the building that will be constructed and mitigate extremes as needed to maintain a constant and stable indoor climate. 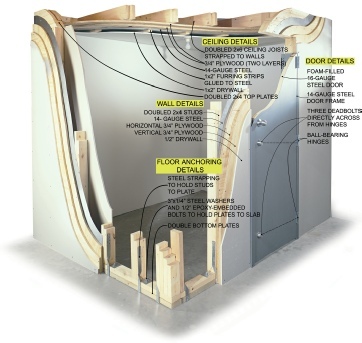 After over 10 years of research and study, UDC has confirmed that light frame exterior wall systems, as utilized in over 97% of all homes, cannot be cost effectively mitigated to a high enough degree with any commercially available insulation packages or configurations to establish an acceptable level of protection from daily thermal gain (in the South) and/or Thermal retention (in the North) to justify the installation of renewable systems to achieve a zero or near zero energy building configuration. Therefore UDC has adopted strategies that focus on an integrated approach to collecting and storing and/or repelling thermal radiation utilizing mass wall systems or monolithic design principles. Systems such as Insulated Concrete Forms (ICF’s) and Compressed Earth Block (CEB’s) have proven very successful in the field in increasing building energy performance. 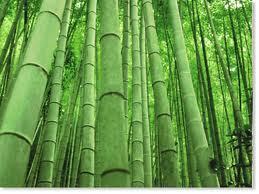 The system that has proven to be the best solution in terms of sustainability, flexibility and performance are CEB’s. Produced onsite, they are a hybrid of two other much older structural systems; Rammed Earth (5,000 BCE) and Adobe (Late Bronze Age). The blocks are hydraulically pressed using a CEB machine to 2,700 PSI and are uniform in size and shape. They have an average weight of 35 pounds per block and can be manufactured in sizes ranging from 7 x 14 x 3 1/2 inches to 10 x 14 x 3 1/2 inches and have an overall compressive strength of 1,000 PSI. Since they are constructed entirely of natural soil, most often excavated from the very site the building is being constructed, they have a good ability to react to climatic conditions and are considered a Phase Change Material (PCM). 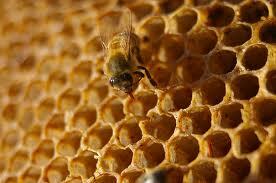 Like our skin, the blocks will absorb and shed moisture. This process is essential to controlling internal humidity and temperature, as heat most effectively travels in liquid mediums. 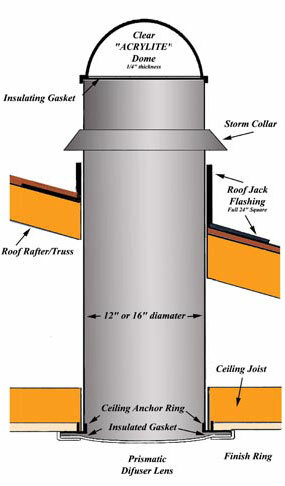 When 10 inch thick walls are used in a building design with other sustainable strategies, it is possible to get internal conditions similar to those found at a depth of 15 feet underground or roughly 40% humidity and an average temperature of 68.7º F, with a seasonal temperature flux of + or – 5º (San Antonio area). Typically, when the blocks are used the building can achieve a 75% to 85% reduction in electrical consumption as compared to a traditional light frame (stick) building of the same shape and solar orientation. With that efficiency, it is then possible to cost effectively size and install a renewable system to remove the building dependents on regionally produced electricity. UDC is also currently working on a new system that can be used for retrofit applications to increase building energy performance. The Thermal Reflection Tile (TRT) is in its early stages of development, but already it has the potential to be very effective in both new and retro fit construction as energy use mitigation. Presently, the CEB system gives us the best return for money invested, since it actually responds to the ambient changes in climate, temperature, humidity and balances the interior climate proportionally. 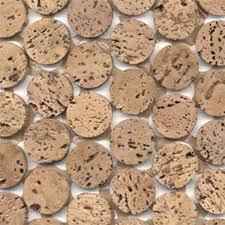 (Above) Experimental Silica Thermal Tile. Being studied for possible retro-fit applications in existing structures. 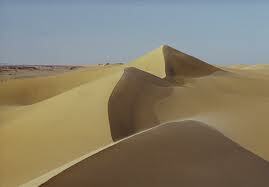 The tile is composed of 95% air and 5% sand. Air is the best insulation that can be used, thus the Universal Home™ is designed to maximize performance from trapped static and/or moving air. 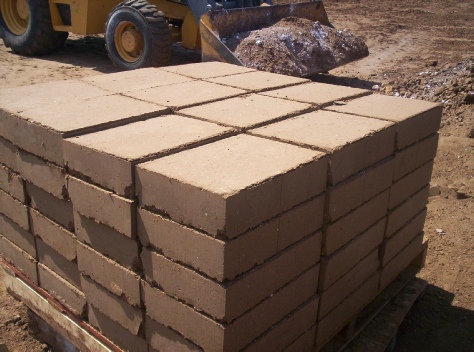 (Above) A pallet of 3½” x 10” x 14” Compressed Earth Blocks (CEB’s). 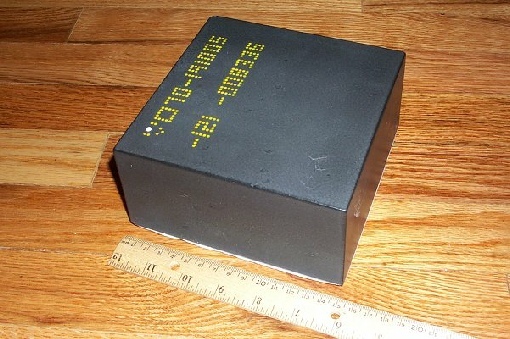 The blocks have an average 1,000 PSI compression strength is fire prove with a 4+ hour fire rating, bullet proof able to absorb the impact of a .50 caliber projectile fired from 100 feet, void of VOC’s and are completely sustainable. The thermal performance of this material is unmatched by anything on the market. Since the walls are a Phase Change Material (PCM) they balance themselves with the exterior ambient climate allowing the interior building client to remain constant with an average daily temperature range between 65° F and 75° F. This material has proven to maximize thermal protection in hot climates. Typically, these buildings can achieve electrical reductions between 50% to 85% and if properly orientated the need to cool and heat the building, utilizing traditional mechanical systems, is eliminated completely. 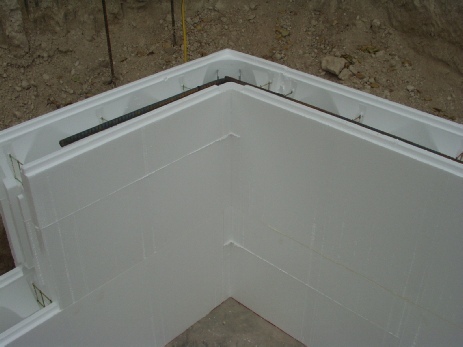 (Above) Insulated concrete Forms (ICF’s) being used in a wall. 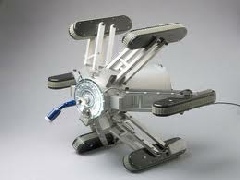 A polystyrene product, they are lite weight and easily assembled in the field. The ICF are concrete forms that remain in place after the wall system is poured. This wall system has shown promise in the field by reducing thermal loading, however the cost is typically 7% higher than tradition construction. 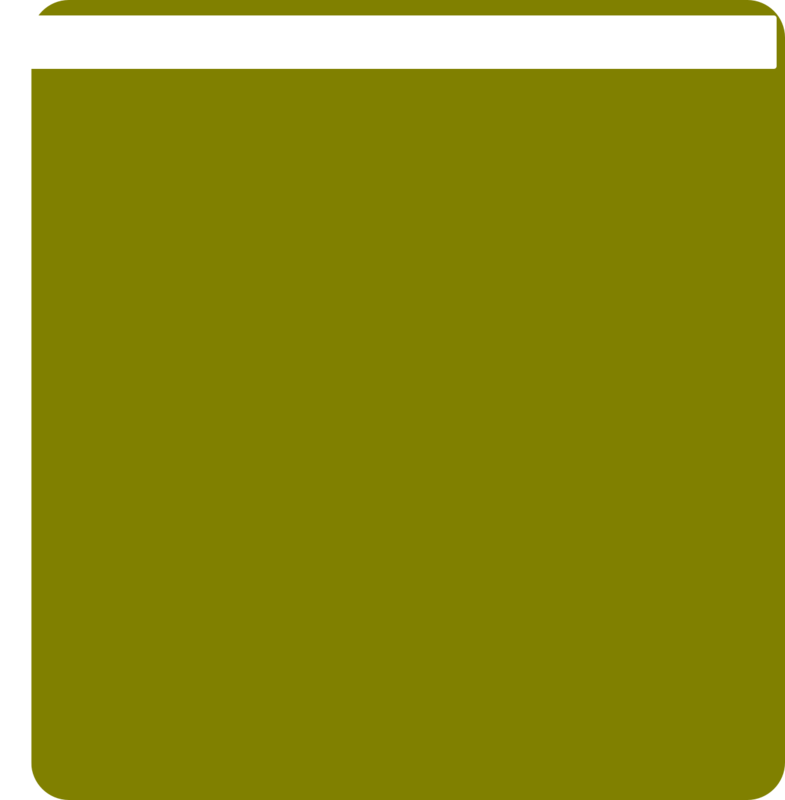 We have seen a R-40 capability in the field when combined with other materials. 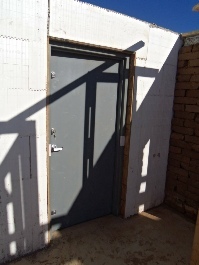 (Above) Spray-Foam installation in HUD-1 home in San Angelo has proven effective in generating thermal protection between R-18 to R-30 nominal. This material, when used in conjunction with passive strategies and good polar orientation has proven very effective in reducing the electrical consumption of the building by as much as 40%. 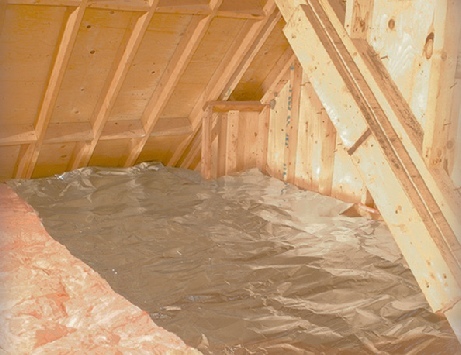 (Above) Roll Insulation with a Radiant Barrier. 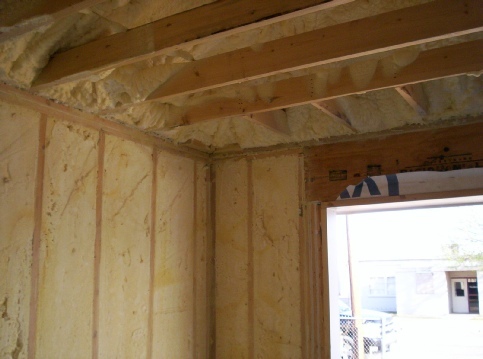 This insulation combination has the best results in mitigating thermal absorption overall. The health package is all encompassing and targets three (3) areas of health and well being of the occupants. 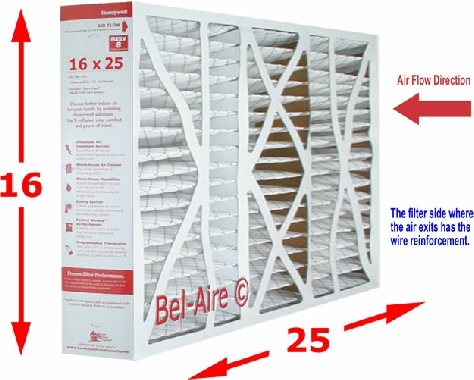 The first of these areas are indoor air quality and the reduction of airborne contaminants. We deliberately control the type, quantity and use of toxic materials or Volatile Organic Compounds (VOC’s) in the construction phase to reduce the effects of off-gassing with a primary concentration on the reduction and/or elimination of Formaldehyde, Aldehydes and Acetic Acids. Most commercially available materials used in construction today contains one or more known and documented carcinogens and all of these off-gas over the life of the building directly affecting the health of the occupants. The extent and/or long term effects of exposure on the building occupants of the contamination is still being studied and has not yet been fully realized, however, some of the chemicals in question have undergone testing and evaluating with scientific links to Cancer, leukemia and birth defects with high and prolonged levels of exposure. If these chemicals are absorbed, inhaled and/or consumed by the occupants, especially if the occupants are young children, females that are nursing, the elderly and/or those with sensitivities. The risk for adverse health problems are greatly increased and may include Cancer, Liver damage, Kidney damage, Central nervous system damage and some studies have shown it may also increase the rate of learning disabilities and behavioral disorders in children. UDC has worked hard to develop strategies to reduce and/or eliminate these chemicals with both passive and active strategies. This is accomplished by the installation of a high performance HVAC system with a MERV 10 or higher filtration system. This system has field proven results and when used with VOC mitigation strategies are capable in achieving a 90% reduction in naturally occurring contamination such as pollens, dust and even some viruses. The metal duct work in the high performance system alloys for cleaning, something that is not possible for flex and fiberglass duct work. With the life span of a Universal Home™ being 400 years minimum, the need to be able to clean the duct work is a requirement and with the use of a spider, 95% of the naturally occurring duct build up can be removed without damage to the air delivery system. (Above left) a picture of a common dust particle under an electron microscope. 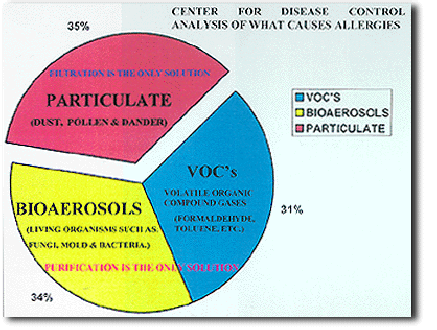 (Above Middle) a chart showing the Center for Disease Controls (CDC) air contaminant breakdown for allergies. 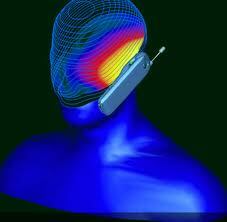 (Above Right) Computer analysis of EMF radiation from a cell phone as it is absorbed into the human body. Only some European countries have enacted legislation that controls the amount of Electromagnetic energy absorbed by the body in structures and when handling electrical devices. Most experts agree that 1 to 1.5 mG. The United States has been slow to recognize the need for EMF safety standards, however there is an increase of childhood Leukemia at an average exposure above 3mG (Source: CDC). The use of natural lighting within the built environment is essential for healthy occupants and until as recent as 120 years ago, it was the primary lightning systems for all buildings. It will allow the occupants to maintain a daily schedule as sunlight can reset our biological clocks, promote health and reduce stress. It will also increase the production of vitamin D and other natural elements in our bodies that help our immune system remains strong and effective. The use of natural lighting, as observed, will decrease electrical use per day as much as 15% and reduce electromagnetic fields (EMF’s) that are known to interfere with our brain waves, disrupting our sleep and increasing the chances for disease and more specifically: Cancer. A Integrated Tubular Lighting System (ITLS) is currently under development at UDC. This system will further enhance efficiency and reduce maintenance and negative health factors within the building design by integrating both a natural light and artificial light solution together. 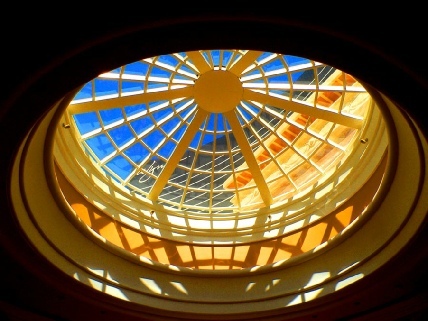 (Above Left) A custom circular skylight used in a custom home. 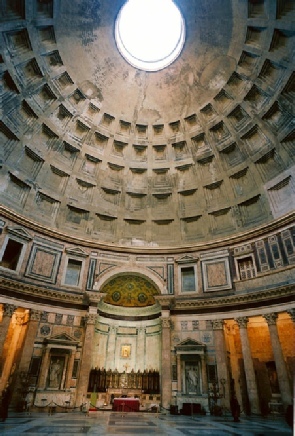 (Above Middle) The Pantheon in Rome was constructed by Emperor Hadrain in about 125 AD. Is a good example of a naturally lighted space. (Above Right) Tubular lighting systems-Solar Tube/ The most effective, low heat delivery skylight system. A high performance ventilation and control system is essential to ensure the energy efficiency of the building, internal climactic conditions are maintained and that our occupants remain healthy and strong. The “high” performance elements are simple. 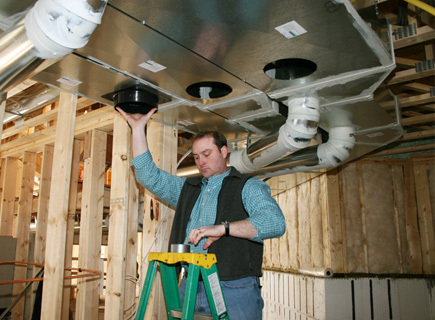 All ducts are to be round metal ductwork, they must be sized by a design professional for CFM and BTU/H and the system must be sized to integrate with the other features of the Universal Home™ strategies. The metal duct will ensure that over the course of 400 years, the system can be cleaned with the use of a spider to remove dust, pollen and other foreign materials that will naturally build up in the duct work over time. This procedure would be impossible in fiberglass or flex ducting. The round metal duct work can deliver the exact amount of air per cubic volume of space in the room without producing noise. 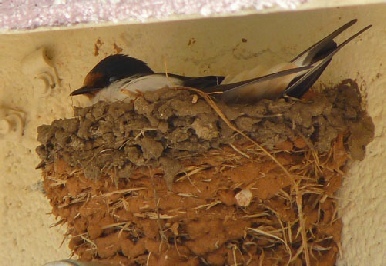 This decrease in noise pollution is one of the first things our clients notice after the building has been occupied. You will never hear the mechanical system turn on or off. That is because the system is designed and sized specifically for the space to deliver just the right amount of air per volume at the correct rate of exchange per hour. This component is an essential sustainable strategy in the Universal Home™ success. (Above Left) A View of a newly installed High Performance HVAC System. (Above Right) A MERV 10 Filter, a Standard feature in all Universal Homes™. (Below Left) A Mechanical Technician installs metal duct with Mastic sealant to maximize air flow, prevent leakage and to allow for the use of a duct spider after use. 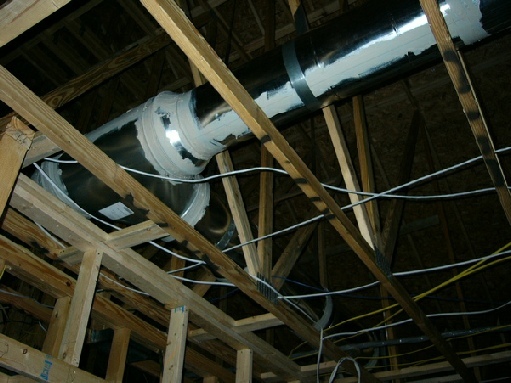 (Below Right Top) A typical Duct Spider used to clean round metal ducts. 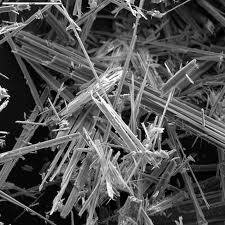 Only Metal ducts can be cleaned effectively, Fiberglass and flex ducts can not be cleaned. (Below Right Bottom) A few of a typical metal duct cleaning with a spider. Water conservation is an important element in the Universal Home™. As the landscaping is an extension of the interior of the home, it is important to choose vegetation that responds to the climatic conditions at the homes specific location on earth. 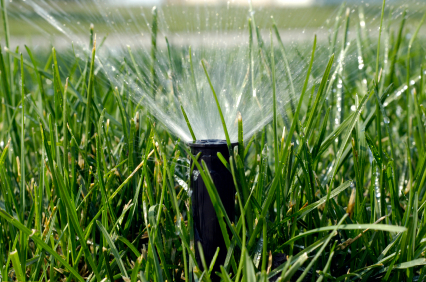 Selection of plants, trees and grasses that will respond favorably to your region is essential in lowering maintenance and increasing water conservation and efficiency. 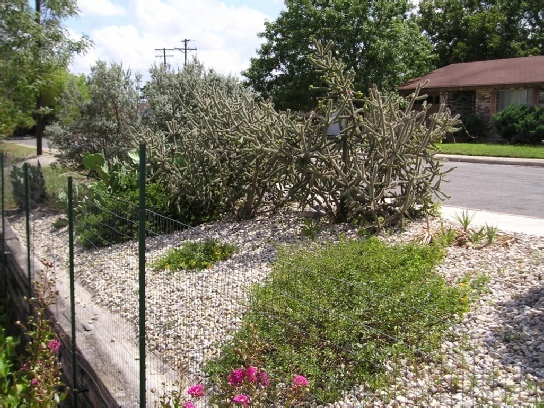 (Above Left) A “xeroscape” Lawn requiring no irrigation. 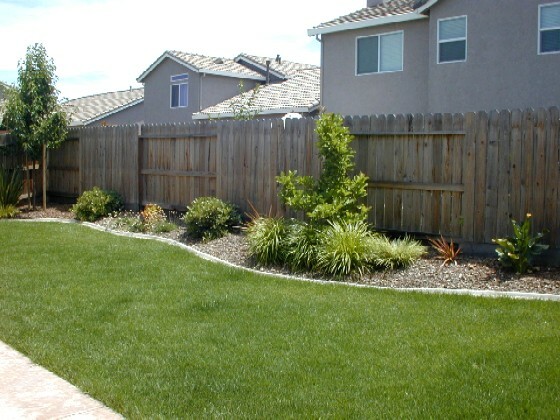 (Above Right) A typical Lawn utilizing Drought tolerant plants, trees and grass. 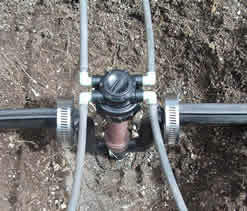 An essential component for the Grey Water system, as it is, the delivery system. The system efficiency is high because it naturally disburses collected grey water from the homes daily use, about 30 gallons of water per person, per day. 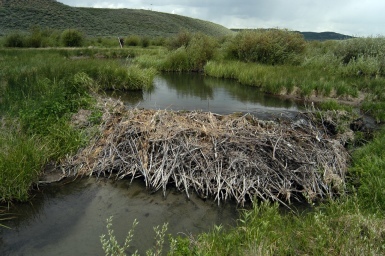 The water is rich in nutrients and is directly and equally spread across the landscaping. (Above Left) A picture of a Head Installation. (Above Middle) A Picture of a Head watering Buffalo Grass utilizing Grey Water collected from the home and rain water run-off. The water is stored in a below grade Grey Water tank then filtered through a standard sand filtration system before it is used in the irrigation system. 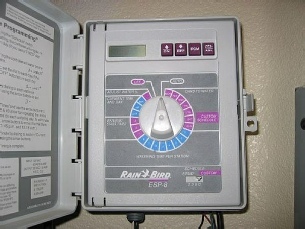 (Above Right) A Irrigation control box, controls the amount and times of watering ensuring proper amounts. The sun is a wonderful heat source if you choose to utilize it for its full potential. Heating water with sunlight has been done for thousands of years. A direct heat approach with an alternative heat source is the most cost effective solution to generate heated water for domestic use without utilizing extensive electricity. Overall, the use of a solar collector for the heating of domestic water will reduce electrical consumption up to 30% overall in most cases. The addition of a natural hot water production system further enhances the Universal Homes™ energy efficiency and reduces its maintenance and upkeep load while still being fully sustainable. (Above Left) A computer simulation of a solar radiant heating system. The illustration shows an integrated domestic hot water supply and floor heating system. 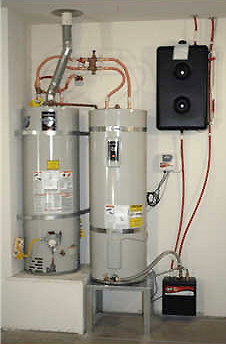 (Above Middle) Two 55 gallon hot water tanks in a standard radiant configuration. One tank will act as the primary and the 2nd will be an auxiliary that can be heated either by gas or electric to maintain hot water production on low solar concentration days. 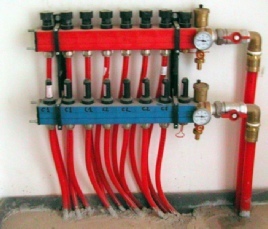 (Above Right Top) A Radiant system manifold, used to control the flow of heated water to specific rooms and areas within a living space, heating the floor through convection. 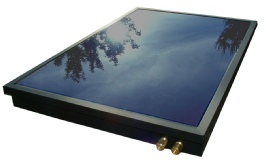 (Above Right Bottom) A solar collector, which will be mounted on a roof or stand will collect solar radiation during the course of the day heated the water flowing through the collector. That water is then returned to the hot water tanks for storage and use. Sustainability means different things to different people. To us sustainability simply means “to be born, to exist, and to be recycled.” To be a sustainable solution, it can take the form of a material (as in this case) a process, a strategy, or system. Our material selection has to be naturally renewable, have low to no toxicity to humans, to be cost effective and to be recycled once it has been used to the fullest. In other words the material must be able to endure. 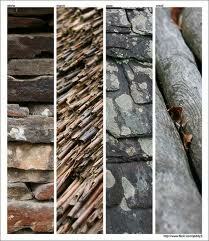 (Above) A collection of usable naturally occurring sustainable materials such as rock, bamboo and pine wood. 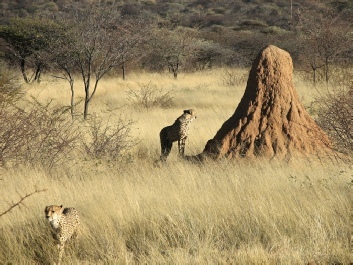 (Below) Buildings materials used by animals and insects to construct structures such the honeycomb cells crafted by the honey bees, A beaver dam constructed by the American beaver, A termite mound or “termitaria” constructed by Termites to help take advantage of heat and ventilation and a Barn Swallow nest constructed by the Barn sallow is a combination of mud and grass aggregate that is woven into a circular shape by the bird to increase the nests strength. 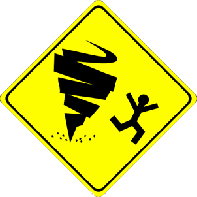 A: Natural events of a local nature such as tornadoes and hurricanes. 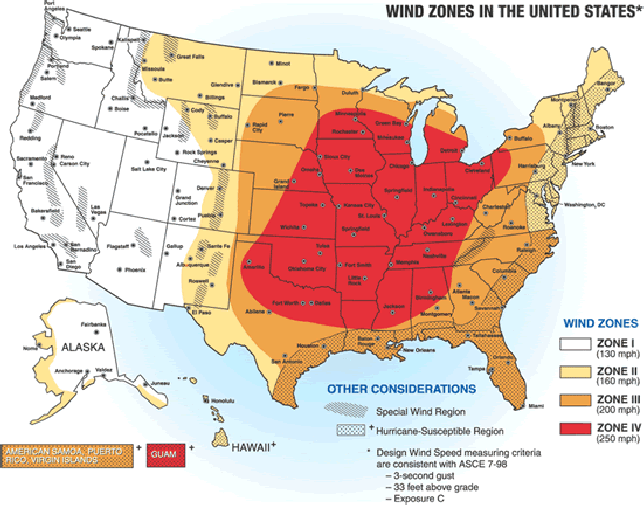 B: Natural and manmade events of a local nature such as weather related, accidents and home intrusions. C: Natural & manmade events of a local, regional and/or global nature such as weather related, accidents and war or acts of terrorism. D: Natural, celestial & manmade events of a local, regional and/or global such as weather related, climate, accidents and war or acts of terrorism. 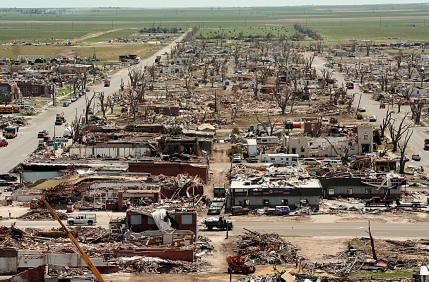 (Above) A view of Jarrell, Texas destroyed by a F-5 Tornado, 1 mile wide and packing winds up to 280+ MPH. The complete destruction of the town took less than 3 minutes, killing 27 people and injuring 12. Over 40 homes were completely destroyed, most of them removed from their foundations. It is the 10th worst storm since 1900. (Left) A Integrated Safe room/ Storm shelter built into a Universal Home™ capable of surviving the effects of a EF-4 Tornado. 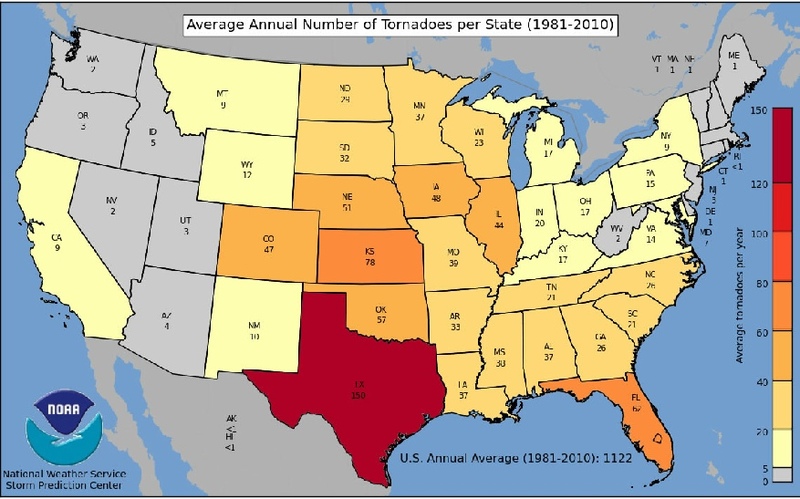 (Below) NOAA map showing the number of reported tornado strikes in the United States between 1981 and 2010. It is not necessary to have to rely on electrical energy generation from an outside or regional source to power a building or home. This is not sustainable, cost effective or even required. Most buildings should be able, if properly designed by a competent sustainable architect, to produce their own electricity for day to day operations. In order to be “off-grid” it is important that the building have 3 things; increased efficiency, a renewable electric system and an energy storage device. In our case that comes in the form of a 1,000 AH Crown industrial Deep cycle battery, or series of them depending on the electrical load. This is embedded in the foundation of the building. The battery is positioned within the building design to optimize longevity and to remain protected in a contingency as it will supply the safe room/storm shelter with electricity during and after an event. Most near zero and zero energy homes advertised on the market claim to be “zero energy,” but the majority of them are NOT. Most of these structures utilize Net Metering. Net Metering is an electrical configuration that allows the surplus electrical energy produced per day to be “stored” in the power grid itself. Hence the power grid is taking the place of a battery storage bank. When this occurs the electrical meter turns backwards as to reflect that the electricity is being pushed into the power grid where it can be drawn from when the building requires it at a later time. The problem with this configuration is that the amount of electricity being fed into the power grid is small and the negotiated reimbursement amount for the surplus kilowatts requires a separate agreement with your energy provider. These agreements are usually a fraction of what the electrical provider is charging the owner for the purchased electricity. So the home owner is not helping anyone but the electrical provider. While being able to produce a surplus of electrical energy, it is not truly “off-grid” and is probably not “zero energy” since the home owner will still pay and electrical bill per month. 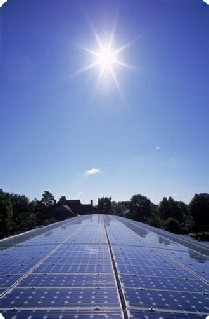 When considering the expensive cost of a renewable system, the inefficiency of such systems, the maintenance and upkeep of such systems over its life and the fact that most buildings simply do not possess enough passive design strategies to reduce overall electrical consumption, the statement of the home or building being “zero energy” becomes less and less believable and if actually true, very expensive for the home owner to maintain over the life of the home. We have adopted an off-grid approach that allows the owner to store the electrical energy in a low maintenance, high amperage Deep Cycle battery that is designed for heavy use. The renewable system will charge the battery per solar day and the battery system will energize the home. 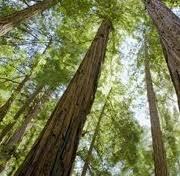 There is no need for the power grid, contracts or special meters. The Universal Home™ is a true net zero energy home that can operate completely independent of the Power Grid and has the capability to be a positive energy home where the electrical provider pays the home owner for the surplus energy produced. 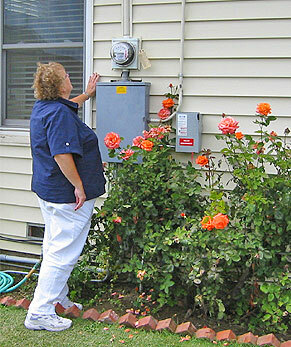 (Above Left) A Home Owner watches her electric meter turn backwards as the renewable system energizes the grid with surplus electrical energy. 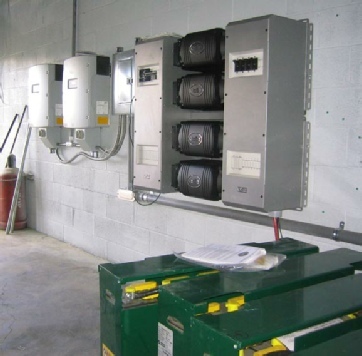 (Above Middle) A large commercial grade electrical system consisting of charge controllers for charging batteries and inverters. (Above Right) A illistration showing a standard “off-Grid” configuation where 1. Solar radition is tranmittered from the sun, 2. 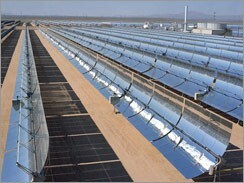 Photovoltaic poanels absorb and convert the radiation into direct current, 3. The electrical current trabvels to the charge controller, 4. The charge controller charges the battery bank, 5. The direct current from the battery is inverted into alternating current so it can be used by the homes systems, 6. 110 volts of electricity energizes all electrical circuits in home. 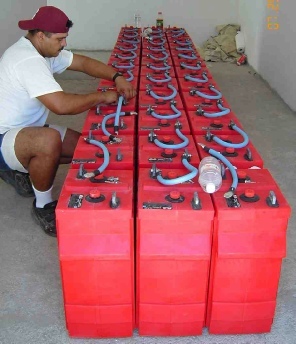 (Below Left) A Installer assembles a Deep Cycle battery bank for solar applications. (Below Right) a Breakdown of electrical production in the United States. Sustainability and energy independence begins with understanding how things work, how materials respond to different stimuli and how to integrate these elements together to work for you in a building design, not against you. Heat generated by the sun is a constant. It will saturate the earth with enough energy to produce around 50 kilowatts of electricity per square foot, per solar day. How can we best convert this into usable electrical energy has been the question pondered ever since the introduction of alternating current and direct current systems. While Nicole Tesla and Thomas Edison differ on their use of currents to deliver electricity, one thing remains the same, we need electricity. The argument for or against the generation of electricity on a regional or site bases are irrelevant. We must produce electricity the most cost effective way possible and maintain the supply of it regardless of weather or electromagnetic disturbances that naturally occur on our planet. But AC and DC have advantages and disadvantages in achieving this. Systems such as wind turbines, photovoltaic and reflective solar systems are the only systems that can do this effectively on a per building basis. Only reflective solar has the potential to be cost effective and when used with a Universal Home™, a return on investment in about 3-5 years. 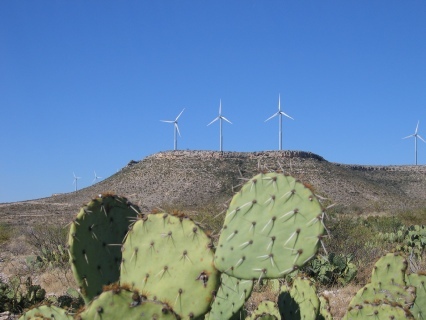 UDC is currently studying two prototypes and has schedule the construction of another in South Texas. While photovoltaic are the easiest and most dependable to produce electrical energy, they are very expensive and only convert 15-17% of solar radiation to useable electrical current. That efficiency can only be achieved if the panels have proper longitudinal and polar orientation. In other words photovoltaic is a very inefficient solution, but are the only commercially available system on the market. (Above Left) 5 megawatt wind turbines outside of Sweetwater, Texas, (Above middle) 200 Watt Evergreen solar panels installed on a house, (Above right) The most efficient way to produce electricity- a parabolic array field in Southern California augments coal electrical production. 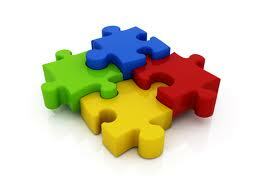 The Integrated Multimedia System (IMS) is an integrated system that has one main 5 terabyte or larger server. 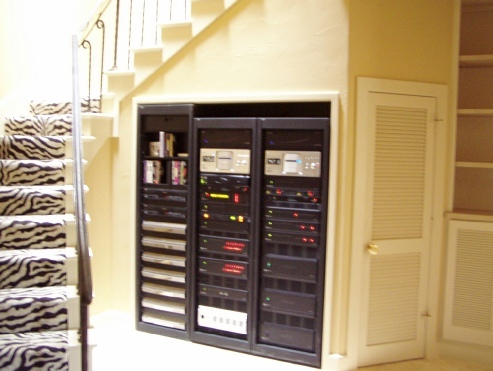 The server acts as a hub for all other systems to include multimedia such as TV, communications and radio. It also has access to the Internet and the server can play uploaded movies, television programing, answer incoming phone calls (voice or video) and other media from any screen in the building. The multimedia system can control specific aspects of the Universal Home™ functions to include conservation, energy and security. Only the first production system is being used in the new Universal Homes™, but as this system evolves in development, it will in the very near future be able to control every aspect of the homes systems by the occupants voice commands, generate performance reports on conservation and energy performance, conduct systems analysis and report damaged or defective systems or components to maintenance personnel for repair. Once the system is fully developed over the next few years it will be a sort of “OnStar” for your home. All Universal Homes™ presently being constructed are equipped with the system and these homes can be upgraded at any time as new technology is introduced. 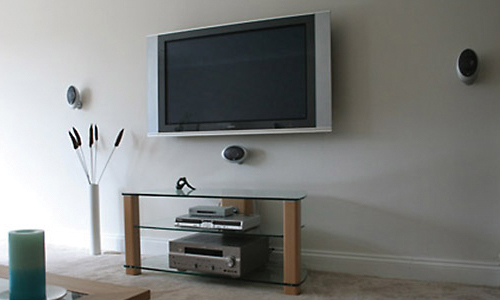 (Above Left) A wall mounted, voice activated and remote free view screen that will allow the home owner to access television, the Internet, gaming and the main 10 Terabyte server to run a windows based platform. The system is designed to increase automation, provide the home owner with a daily home diagnostic to check for malfunctioning systems and appliances, track and collect electrical and water usage trends, monitor and control renewable systems & irrigation. The system is still under development and being field tested in the Jarvis House in Jourdanton, Texas.